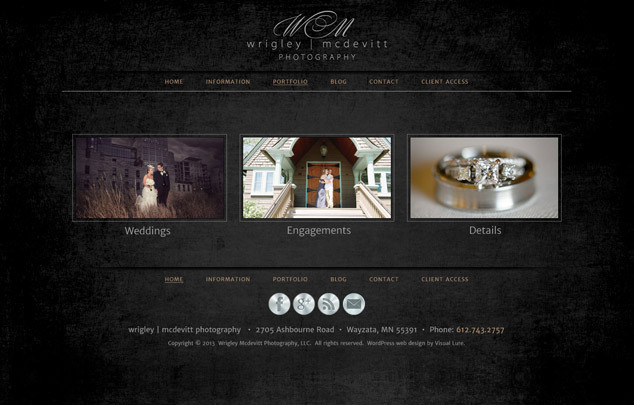 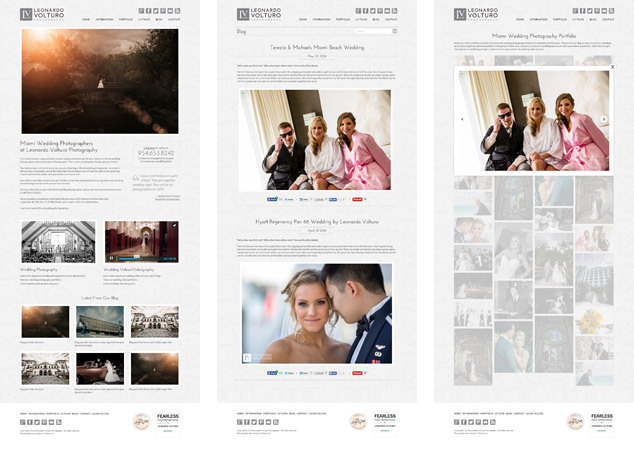 Visual Lure recently designed and launched WrigleyMcDevitt.com for a very talented Minneapolis, MN wedding photography studio. 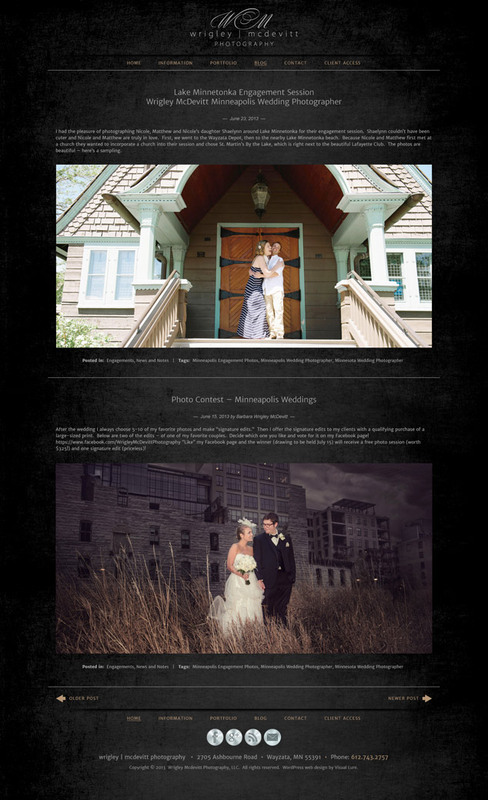 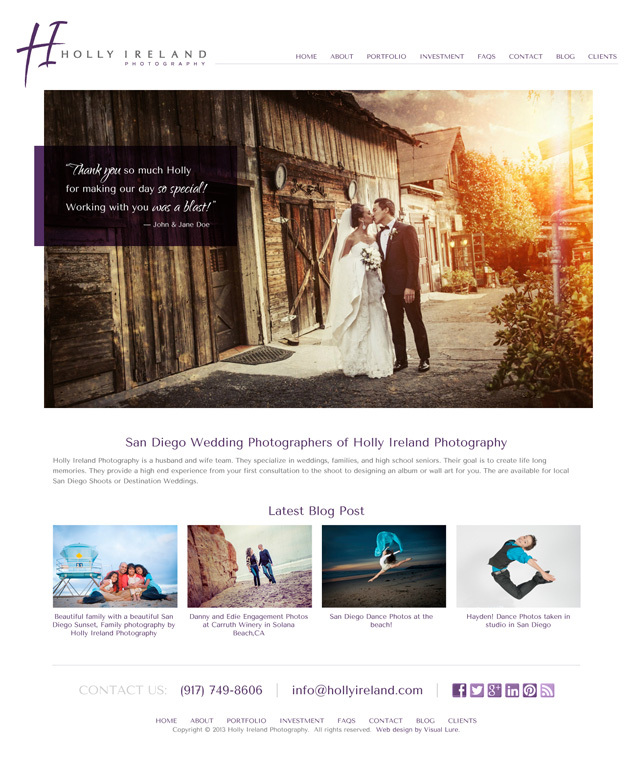 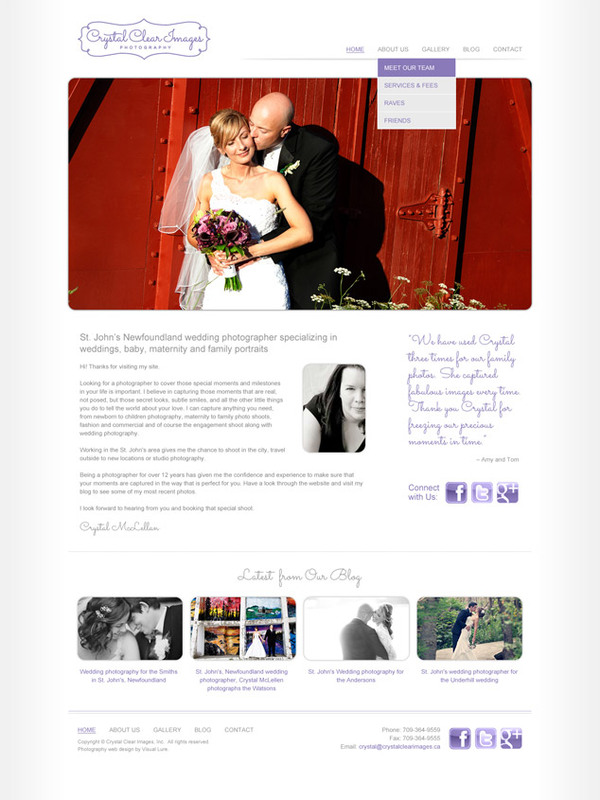 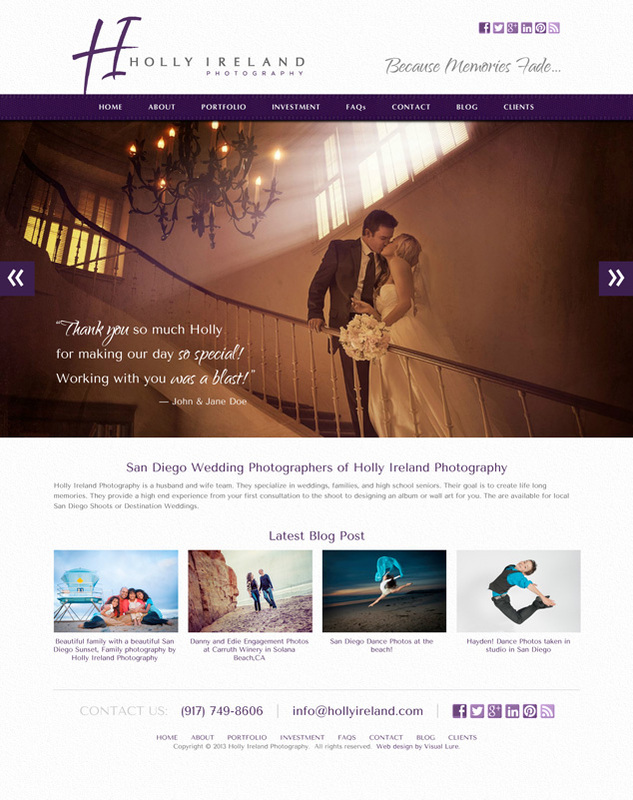 The new website was built in WordPress with custom portfolio pages and a seamless blog. 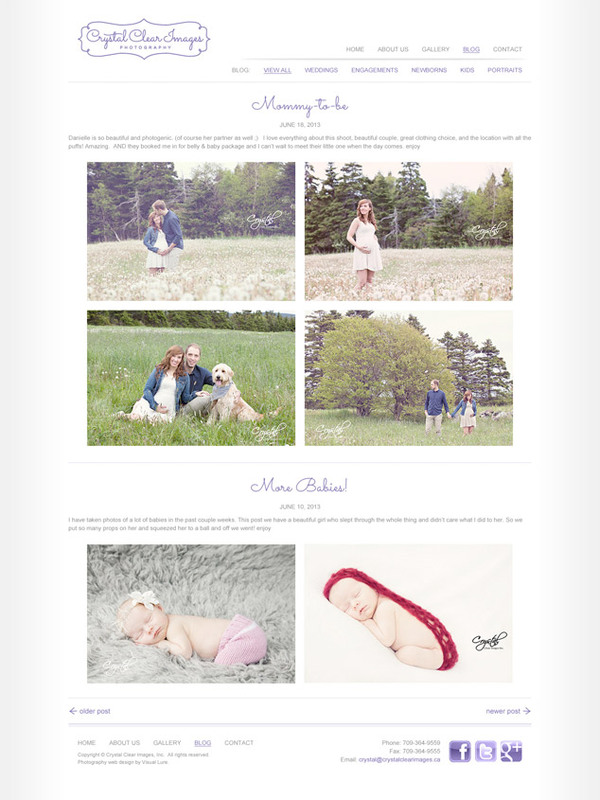 We will be launching its sister site, a website dedicated to newborns, babies and children very soon. 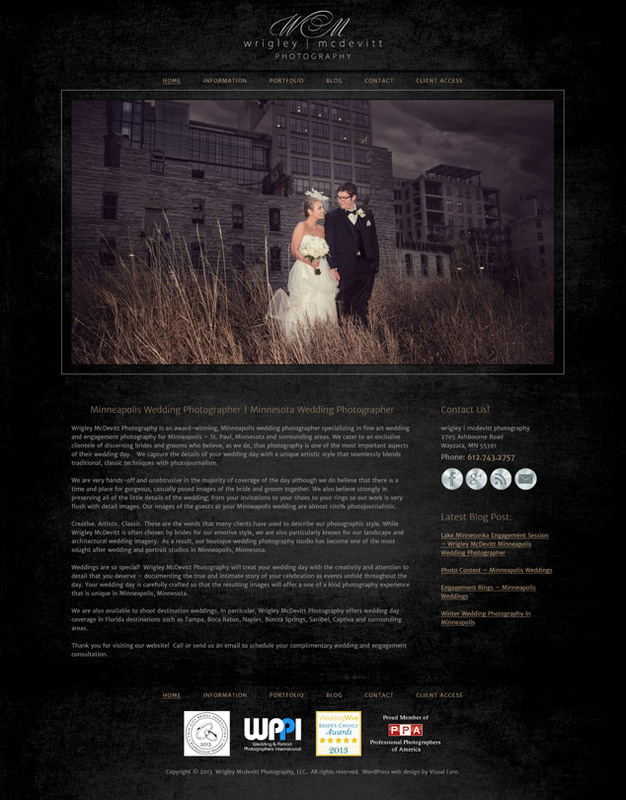 We were also contracted to redesign their logo, so be on the lookout for that too.